This book has been my most anticipated release of the year, and Jemisin does not disappoint. It was a pleasure to read, like a fine wine, or gourmet meal where you linger over every note and nuance, while at the same time offering good simple sustenance through her clever action and plot. Structurally, this book does risky things, but it pays off massively well. Overall, I would recommend this to anyone and everyone that enjoys great fiction. Brilliant novel: intelligent, fresh concept executed with technical/structural brilliance. 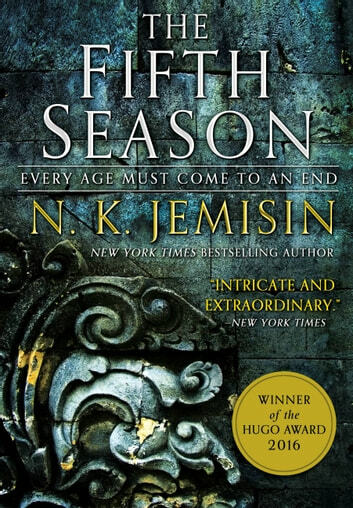 The Fifth Season did all the things I want from a great sci-fi novel--it engrossed me with story and plot; has brilliant world-building and good depth of character; it includes the raw and gritty and beautiful aspects of humanity--oppression, prejudice, love, loss, growth. 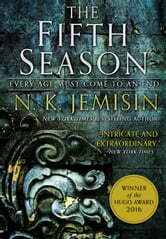 Jemisin does a wonderful job of writing a sci-fi novel that goes FURTHER. A novel of intelligence and passion, and plain old good writing. A deep tale interwoven in a very cool way. Original. Crazy good. Unless you've read Jemisin, you've never read anything like this in the fantasy genre. I kept experiencing the joy of discovering a new way of writing. Each section of the novel is another opportunity to see how Jemisin does it differently, and does it great.